Does your child understand texting etiquette? Jenny sleeps with her phone next to her bed. It buzzes all night long as her friends send text messages into the wee hours of the night. Sarah is offended by a text from her BFF so she unfollows her on Instagram, starting a chain of nasty messages and hurt feelings. Sam is ready to throw out his cell phone. He’s at his wits end about the number of group texts his friends have included him in and the volume of messages he receives. Matt is fed up with the number of texts he receives as well. Several girls from school text him repeatedly before he even has a chance to respond and he is frustrated! Krissy, Macy and Angela start a private group text at a slumber party that sparks hurt feelings amongst the girls who are excluded. Alisha never puts her cell phone away. At restaurants, family get-togethers and while hanging out with her friends, it’s always out and she’s always quick to respond to her incoming texts. Johnny is surprised and embarrassed when his girlfriend takes a screen shot of his romantic text and posts it to her Instagram account. As parents, it’s important to take the time to talk to our kids about social etiquette when using technology and how to handle it when they feel offended or upset by messages they receive. Just like they shouldn’t call someone on the phone repeatedly, kids need to learn that they shouldn’t text repeatedly without receiving a response. I’ve heard from many kids who feel annoyed by the volume of messages they receive. Kids also need guidance with how to handle arguments that develop via text or posts. Often times they fire back right away or “unfriend” or “unfollow” the person they are upset with. This typically escalates the tension. Instead, talk to your child about coming to you if they are upset about messages they’ve received. Encourage them to take time to “cool off” before responding, since often times they handle these situations much better after a breather. Also encourage them to handle disagreements in-person, instead of via text. Avoid creating group texts. Once kids add their friends to group messages, they cannot remove themselves. This can be very frustrating since the number of texts can be high and the interruptions excessive. If parents are monitoring their child’s text messages via the cloud, they can be flooded with messages as well. Have a bedtime for devices. Allowing kids to have their devices in their bedrooms can create lots of problems. They often text late into the night or are disturbed by incoming messages. Just like it’s impolite to phone someone late at night, the same rules should apply to text messages. Encourage your kids to talk face-to-face for lengthy conversations. If the message is longer than a few words a phone call is more effective. Set guidelines about texting when they are with other people. 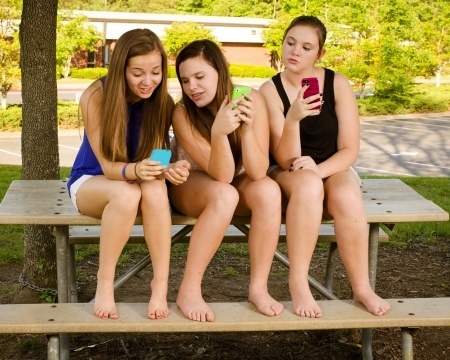 Encourage them to put their phones away and enjoy being with their friends. Just because their phone dings, they don’t have to interrupt what they are doing to respond. 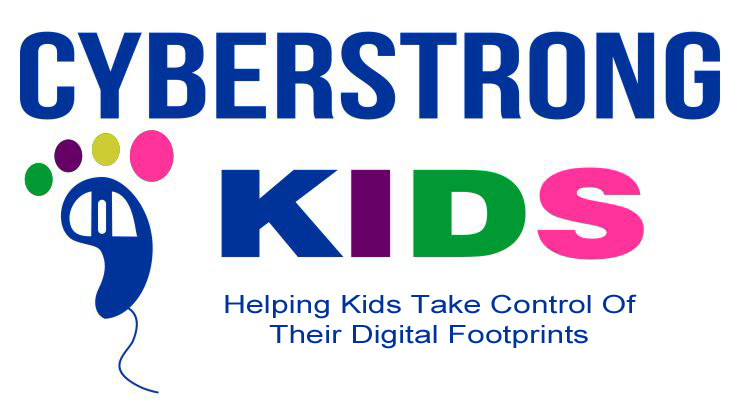 Create situations where your kids are device-free. Since texting is now the number one way young people communicate outside of the classroom, many kids are not learning good social skills. Kids need time together without technology, so they can develop strong interpersonal skills. Since nonverbal communication is eliminated with text messages (expression, tone, etc.) kids need our guidance looking at their messages and talking about whether or not they could be misinterpreted. By using emoticons, and adding “pleases” and “thank yous”, many messages are received as intended. Even though text messages are not truly private (they can so easily be shared and forwarded) teach kids to treat their messages as private and not share them without permission from the sender. Just like kids need guidance learning how to be polite and respectful in-person they need our help learning how to communicate responsibly electronically. What challenges have you seen with kids and their “Texting Etiquette?” What’s worked for you? I’d love to hear from you! Comment below and share your stories. We can all learn from each other. Do you want to learn ways to keep your child safe on any app? Most parents do but feel overwhelmed about keeping up. The other day I received a phone call from Tracy. * She was reviewing her daughter Ashley’s* texts and posts (which is their agreement) and became quite concerned about some of her conversations. Ashley and her friends have been getting follower requests on Instagram from men they don’t know, and some of Ashley’s friends have been accepting them. Tracy was quite concerned since she thought Ashley’s privacy settings protected her from strangers. After digging further into Ashley’s texts, Tracy discovered that Ashley has several new apps (Vine, Followers +, Ask.FM) she doesn’t understand. She was feeling really overwhelmed and wondered how she could possibly protect her daughter in such a fast moving and ever-changing cyberworld. As a parent, you can probably relate. It is virtually impossible to keep up with all of the apps and programs kids use, since they are typically one step ahead of us. This can feel very scary. The good news is you don’t have to understand them all. There are 5 cybersafety steps that can keep your child safe on any app. It doesn’t matter if you don’t fully understand the app (although I encourage you to take the time to understand as many as you can). 1. Always think about your digital footprint. Everything we do in the digital world, whether it’s an email, text or post, leaves behind a permanent record. It’s important for kids to understand that even if it feels like a private conversation, it has the potential to become public. Would they want their post on a billboard in front of their school? If not, then don’t hit send. Period. 2. The cyberworld is NOT a safe place to make friends. Even though kids like to collect followers, they should never accept requests from people they don’t know in real life. People can pose as anyone they like in the virtual world and it can be dangerous. Encourage them to make friends in-person but not online. Explain to your child that we all have instincts that are designed to protect us. If they are doing something online that they wouldn’t want you to see, or feel “funny” about, those are their instincts and they are trying to protect them. Listen. 4. Remember the Golden Rule. Kids are much crueler in the digital world then in person. With anonymity (especially on sites like Ask.Fm) and the lack of face-to-face feedback, kids are much more likely to say and post things that they would never say in person. Talk to your child about the importance of treating others the way they would want to be treated and never forwarding or reposting embarrassing, mean or unkind posts or pictures. Not only will it be on their digital footprint, they could potentially cause someone else a lot of pain. Encourage your child to come to you if they see something they are concerned about. Even though Ashley texted her friend not to talk to a guy she doesn’t know (As she put it, “He could be a murderer!”), she didn’t talk to her mom about it. The good news is her mom was monitoring her activity and was able to intervene. Remember: everything is public in the cyber world. It is not an invasion of your child’s privacy to review his or her texts and posts since they are public. It is a great idea to have clear rules and consequences with your child about what you expect from them when using technology. Some parents approve all social apps before their child signs-up or deletes an account. Others make it clear that they will be monitoring their activity at regular intervals. I also recommend that you have your child put away their devices before bed since lots of problems occur late at night when they feel unsupervised. 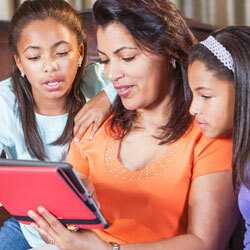 Kids love their devices and clear rules and consequences can help them make better choices. I know it can feel scary to think about how to best protect our kids. The good news is that these 5 strategies can help kids make good choices and stay safe, no matter what program they are using. I love to hear from you! Do you have any problems that you need help with? What’s worked for you? Please comment below. Last year, my daughter had a slumber party for her 11th birthday. The moment the kids arrived, I noticed a big difference: They all had devices. I thought I was prepared with food, games and movies. However, I had no idea the various issues their devices would create. In fact, something happened that really scared me and never even crossed my mind before the party. The girls had fun all night doing the typical slumber party activities. They were cozy in our living room, getting into their sleeping bags, when I went to bed. Around midnight, one of the girls decided she wanted to go home. However, she didn’t say anything to anyone at the party. Instead, she texted her mom to come and get her. Since it was late, when her mom pulled up at our house she texted her daughter to come outside. Most of the girls were asleep by now. Again, nobody knew that she was planning on leaving. Thankfully, as she walked to the front door, another girl was coming back from the bathroom and asked her what she was doing. I am so thankful they bumped into each other. We would have woken up in the morning and she would have been gone! Can you imagine having to call her parents and ask them if she by chance was at home?! Thankfully that didn’t happen. It did get me thinking though. It never occurred to me to talk to the girls about directly communicating with me if there was a problem. The Wifi Code: When the girls arrived they all wanted access to our Wifi. I realized quickly that there was no way I could control what they were viewing, especially once I went to bed, so decided against passing out the code. Since the internet has information on everything and most kids have stumbled across inappropriate information online, consider how much access you want them to have during your party. Texting Groups: Another issue that developed was the different texting groups that formed. Even though they were all in the same house, a few girls created a texting group that didn’t include everyone. You can imagine that the others quickly felt left out. Talk with the kids about not using their devices in a way that excludes other guests, whether it’s with texting, games or photos. Texting Other Friends: One of the girls started texting a boy she liked. I had no idea whether or not her parents would approve. Since all families have different rules, I asked her to wait to chat with him until she got home. It’s important to think about how much contact you want the kids to have with other friends during your event. Sharing the Fun: Kids love to show the good times they are having in real time on sites like Instagram. Not only could this be hurtful to kids who aren’t invited to the party, if they use “map my photo” or geotagging, people could know where they are, which is dangerous. Posting Photos: Kids love to upload pictures of themselves. However, everything they post, share or send leaves behind a digital footprint. Remind the kids that all posts can become public. At our party, I ended up having the kids put their devices away. They complained, but once they were out of site, they had so much more fun together. There are definitely advantages to today’s technology, but other issues crop up as well. As parents, it is really hard to predict all of the potential problems, especially since we didn’t have to deal with these issues growing up. 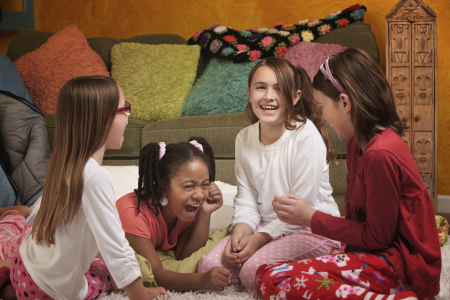 Before hosting your next slumber party, think about how much access you’d like the kids to have and clearly share your guidelines with them. As I get ready for this year’s party I am going to set our rules about technology at the start. I know this may not be popular with the kids, but I want to keep them safe and encourage them to have fun together. Have you had any similar issues with technology at your parties? What happened and how did you handle it? Please comment below and share with your friends.